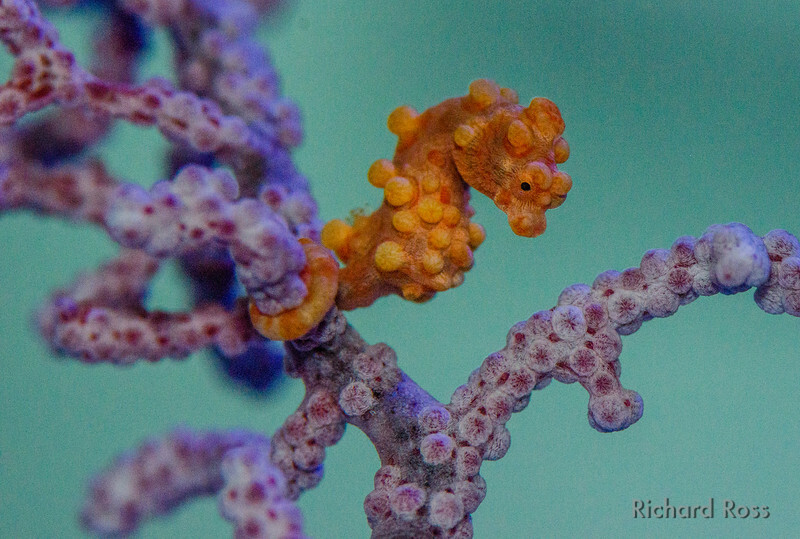 We just shared the news of the first successful captive-breeding of Hippocampus bargibanti at the wet hands of Steinhart aquarists Matt Wandell and Richard Ross. Marine breeders, and more specifically seahorse propagators, are no doubt ecstatic (Dare I borrow a line from from Ross: “Their heads are falling off”). 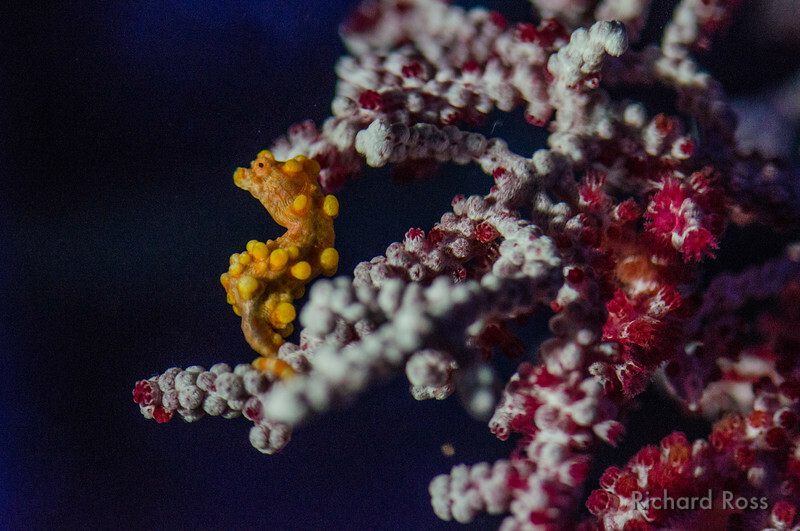 An adult Bargibant’s Pygmy Seahorse, behind the scenes at the Steinhart Aquarium at the California Academy of Sciences – Image courtesy Richard Ross.